Building on the success of the South William Street location, Giovanni Viscardi and Brian Deery are creating a new and exciting destination for Dubliners. 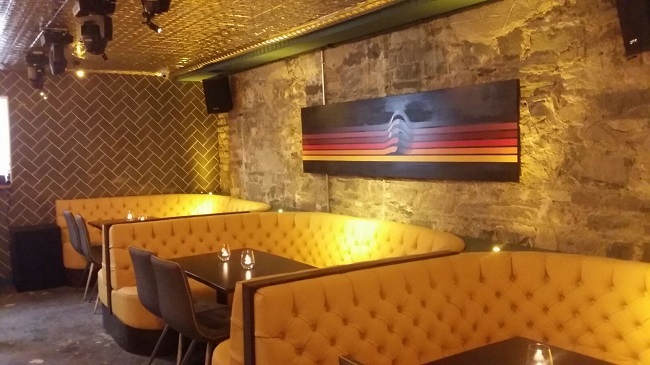 The beautifully finished new Bagots Hutton opens this month and comprises of a 120-seater cafe wine bar occupying the entire basement and first-floor space at 6 Ormond Quay Upper. The open plan design and layout includes two areas, which although complimentary will have distinctive feels and moods. To the rear of the space, there is a relaxed wine lounge with comfortable low seating and lower atmospheric lighting. The ʻBH Clubʼ in the basement is a candle lit room with yellow chesterfields and exclusive table bookings so customers will have the full night of dining and live entertainment with table service. Bagots Hutton will provide fresh Mediterranean food in the style of antipasto, cheese plate and charcuterie platters, crostini and salads in an open performance deli and bar, which will be an integral part of the visual experience and cuisine-orientated mood. Expect fresh ingredients bought daily, delicious home cooked dishes and bread freshly baked in pizza ovens accompanying the famous Bagots Hutton antipasti menu. No meal is complete without the perfect drink to accompany it so Bagots Hutton continues to curate an impressive wine menu and collaborate with the worldʼs best cocktail mentors and the extensive cocktail menu has been designed by leading mixologist Paul William Pinapple. The front space at Bagots Hutton caters for daytime trade with a busy cafe feel inside a boutique styled retail unit, which will provide the sale of fine wines, teas and coffee, meaning everything you love about Bagots Hutton can now be enjoyed at home! In terms of design, Bagots Hutton draws inspiration from the modern New York style cafe. This venture is a labour of love and the renovation incorporates classical fitting sand fixtures – dark wood, yellow chesterfields and brass fittings with an art nouveau finish with contrasting accents of period French textiles and industrial period furniture. 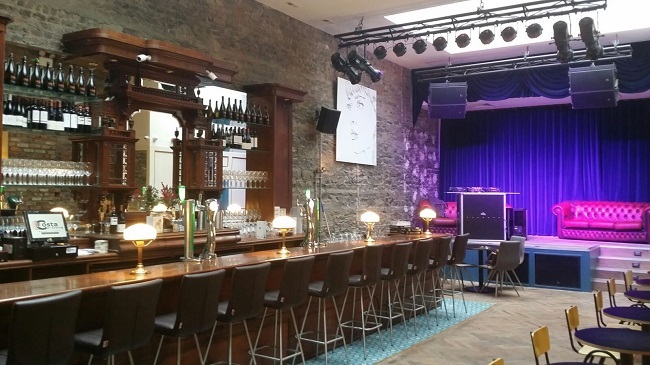 Not content with purely providing an immersive dining experience, the team at Bagots Hutton will be working alongside music promoter Eoin Long to create the perfect live music venue. Eoin has fourteen years experience in the music industry so will perfectly align dining and live international music, making Bagots Hutton a unique and exciting new addition to the Dublin night life scene. For more information on Bagots Hutton check out their Facebook, Twitter and Instagram accounts.